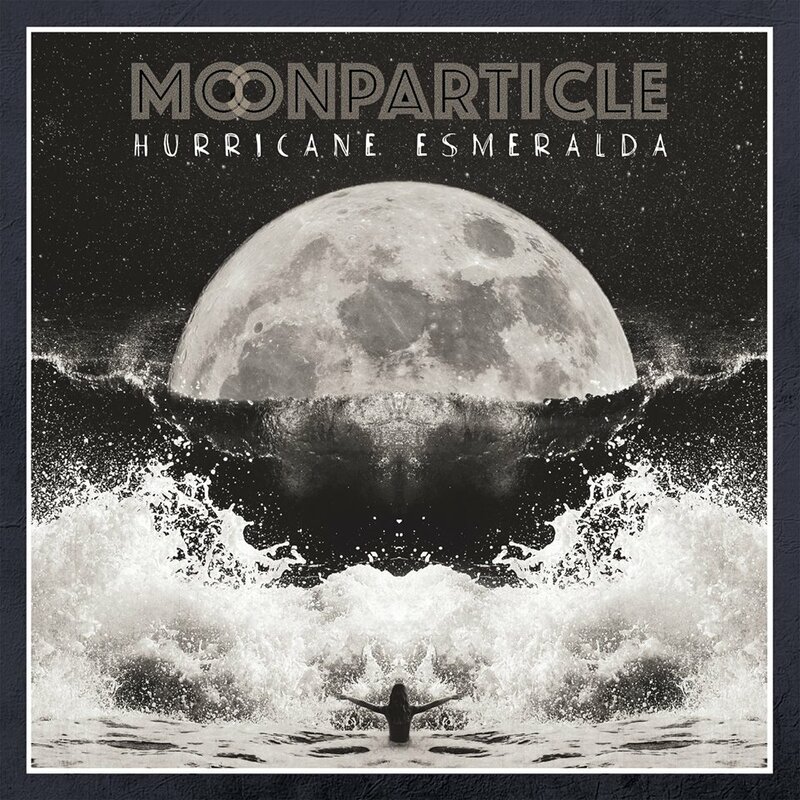 Moonparticle is the music collective put together in 2017 by virtuoso guitarist/producer Niko Tsonev (ex-Steven Wilson, Lifesigns) featuring an extraordinary group of musicians: Pianist Adam Holzman (Miles Davis, Robben Ford), Saxophonist Theo Travis (Robert Fripp, David Gilmour), Drummer Craig Blundell (Frost*, Steven Wilson), Violinist Samy Bishai (Natacha Atlas, Digitonal) and Vocalist Grog Lisee (Die So Fluid, Ozzy Osbourne). successful PledgeMusic campaign. The recording took place in various locations – each musician adding their contribution from their own recording studio (London, Paris, New York and Los Angeles) via online file sharing. 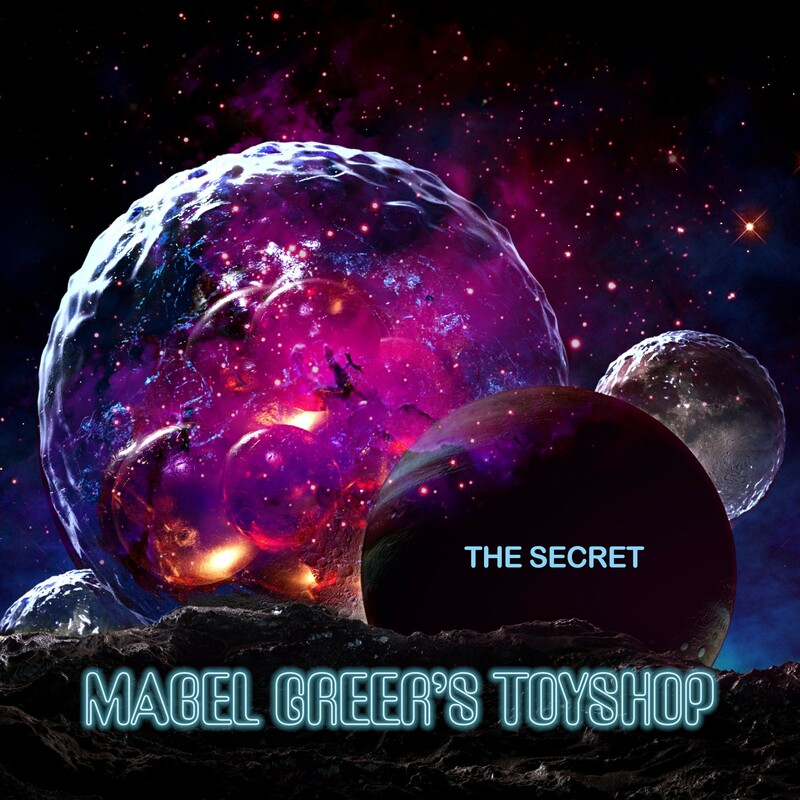 Produced and mixed by Niko Tsonev, the album was mastered by Jon Astley (Paul McCartney, Peter Gabriel, Porcupine Tree). The artwork and graphic design were conceived by digital artist Be Wilde. 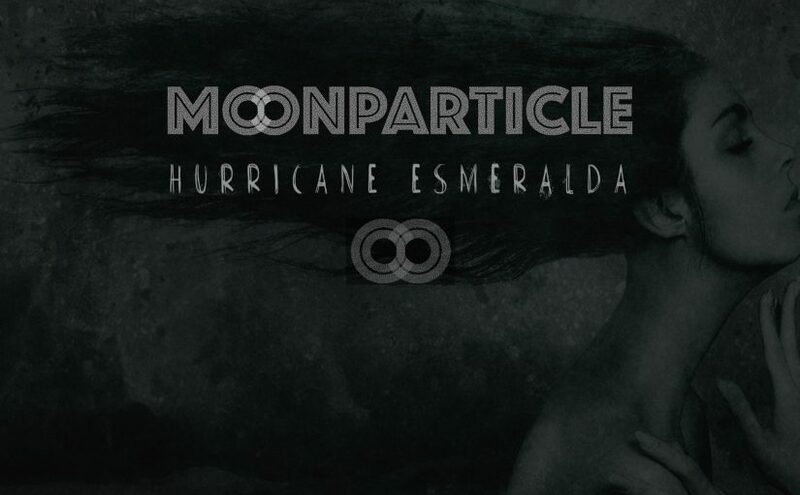 The title ‘Hurricane Esmeralda’ was inspired by themes of inner awareness and growth, and the process of pure creation. 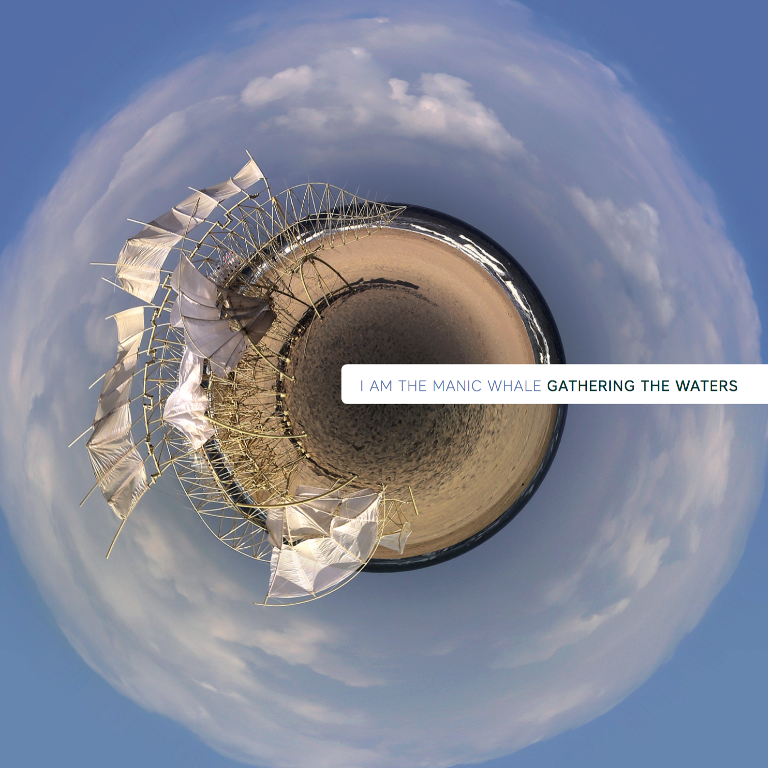 The virtuoso level of musicianship displayed by the aforementioned musicians throughout the 40 minutes of music, complements the primary focus of the album – inspired songwriting and brave musical performances. 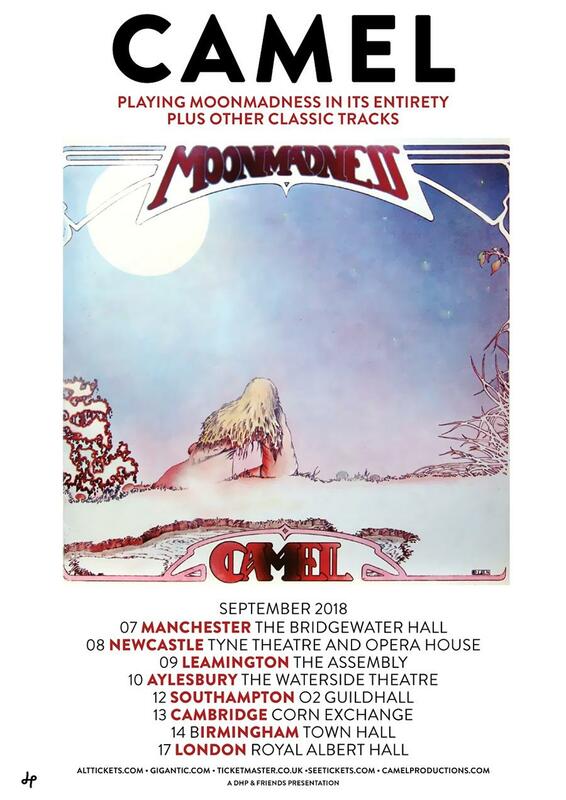 Following the recent announcement that legendary prog-rock band Camel will bring their acclaimed live show to London’s Royal Albert Hall in Sept 2018, the band are happy to reveal that this will be preceded by an extensive run of UK tour dates. During what will be a very special run of shows – performed by Andrew Latimer (guitar, flute, vocals), Colin Bass (bass guitar, vocals), Denis Clement (drums), Peter Jones (keyboards, vocals) – the band will be playing the entirety of their 1976 album “Moonmadness” plus plenty of other classic tracks. Upon release “Moonmadness” left its mark on the UK Top 20 albums chart, going on to become certified silver. In the Q & Mojo Classic Special Edition Pink Floyd & The Story of Prog Rock, the album was included in its list of the best “40 Cosmic Rock Albums” and voted no. 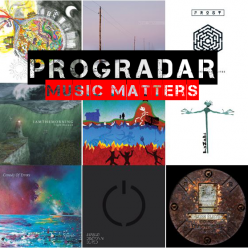 58 in the Top 100 Prog Albums of All Time by readers of ‘Prog’ magazine in 2014. The full run of UK dates is as follows. Tickets go on sale Friday 1st Dec at 10am. Here In deepest Berkshire, not much seems to happen, or is not in the public domain until after the fact. George Michael lived down the road from us, we didn’t know until after his sad departure. All his good deeds then became public knowledge. His success enabled him to fund people and causes as he saw fit, quietly and without the media spotlight glare. A true Rock star attitude. Ian Paice lived around here and, in a previous life, I got to know him whilst he purchased video games for his kids. Another unassuming Rock N Roll Legend living his life in full view here. Jimmy Page passed me and my kids in a shop, I wished him a good afternoon and we went on our way. “Who was That Dad?” asked the eldest. “That, daughter dear is a god. A rock star. “He’s not, he’s just an old man!”. Ah. The perception of youth! He’s renowned for searching out bargains at the local record fair, again, quiet, unassuming, living his life amongst us mere mortals. We now have new gods amongst us. Prog Gods! Local boys make good! 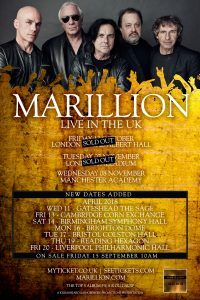 After the great Prog explosion of the 80’s and 90’s that gave us 12th Night, Pure Reason Revolution and then Arena, this little corner of the shires has now again performed above its weight, we are now proud to claim The Room, *Frost (well John M anyway) and now I Am The Manic Whale as our home town heroes, even though in keeping with the invisibility cloaks gifted to musicians around here, the members can walk around, getting on with their non-musical lives. Which is not to say this is an underwhelming album. Far from it. There are hooks galore, guitars are riffed on, keyboards pounded, drums thumped, and the final mix has had the magic of Rob Aubrey sprinkled on it. After the sheer unthrottled joy of hearing their debut (I think it was one of my first pieces of scribble translated by the Wallet emptier!) I waited for the rest of the Universe to catch on. Then I waited a bit more for the 2nd output. I pledged to fund it, as I had the first. And it’s now arrived, resplendent in excellent art that deserves a vinyl release just to show off the art! Mr. Plane Groovy, one for your shopping list, not only for the cover but also the tunes locked inside. 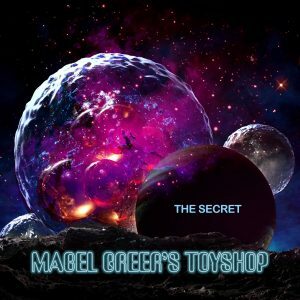 The album opens with big bouncy guitar riffs and keyboards – They’ve gone all Deep Purple on me. The vocals kick in and the 2-part harmony lead is back to IATMW territory. Vocals are clean, and the lyric is enunciated clearly, the subject however is a first for me. This tale of The Man With Many Faces (no, not a politically satirical barb) unfurls like his “fourteen-foot scarf” would. The opening verses paint him as an avenging devil, to be hidden from and avoided at all costs. 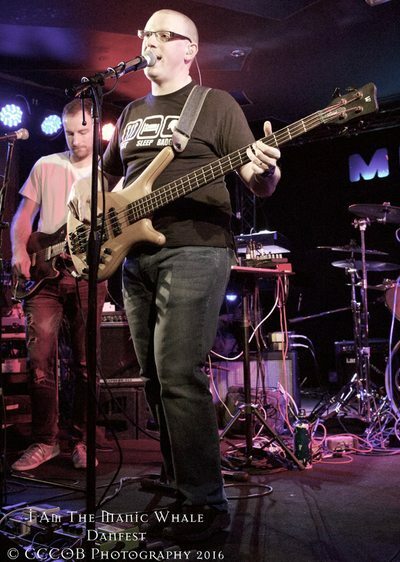 Musically, this is deep into the furrow ploughed by It Bites, that wonderful mix of Pop and Prog they exemplified, the harmony vocals add to the layers of this sonic package. The song unfurls with some nice guitar and keyboard touches, and the story takes a darker turn as we learn more of this fearsome enemy, who “If you strike him down with all your hate, He comes right back up looking great”. As some antipodean disgraced paint pusher once remarked “can you tell who it is yet?” Live, I can see a gleeful audience pogoing away to the middle eight, it’s very Calling All The Heroes. Not many prog bands make your feet tap and your body want to move, but his track does. Sorry. It’s music, I like it. End of classification and rant. Back to the plot and the twist. The narrator, hiding from this One-man extinction plan, is a member of that race of mobile pepper pots that terrified a generation, of kids hiding behind the sofa.Yup. The time traveler as seen through the eyes of those he opposes. The ordinary low-level megalomaniac, going about their task of exterminating all life that infest the universe, warning it’s offspring to fear that scarf wielding face changer. 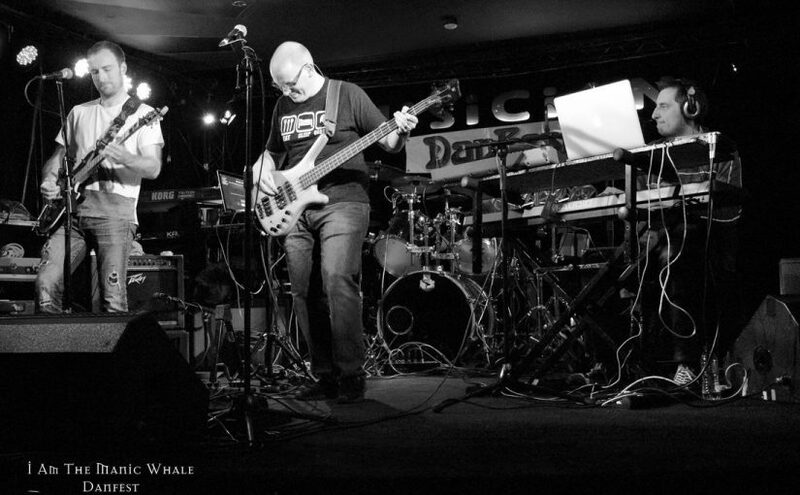 Dalek Prog – a whole new genre is formed in this one track. The guitar solo at the climax pulls us out from that particular reality and we arrive back on Planet Earth for the 2nd track, The Milgram Experiment. Prog songs based on historical events and people have proved popular over the years. Genesis gave us Driving The Last Spike about Brunel and the Railways, Big Big Train gave us songs about forgers, Big Big Trains (😊) , even Todd Rundgren threw in the epic Hiroshima, one of the slew of anti-nuclear war songs that the paranoid cold war years spawned . Scientists as a subject matter are rarer creatures. 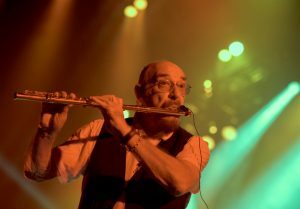 Cold Play gave us a generic subject, Hawkwind immortalized Einstein as “a rather handsome fellow that no one ever called Al”. I had read about this years ago; the track takes us through the testing and the dilemma it exposes in each of those involved. There are some great harmony vocals here, not quite the polished perfection of Moon Safari, but heading in that direction. The multi-tracked guitar solo evokes early Queen, as do those layers of vocals. Two tracks in, a great opening salvo where we get inside the head of the scourges of a particular universe and their fear and then get to contemplate the effects of blindly obeying orders like good sheeple . No love songs, no dragons, steam punks or dystopian nightmares yet. Track 3 is equally distant from those staples. The Lifeboatmen is another epic Historical piece, this time with a more nautical theme, more in keeping with the band’s name! 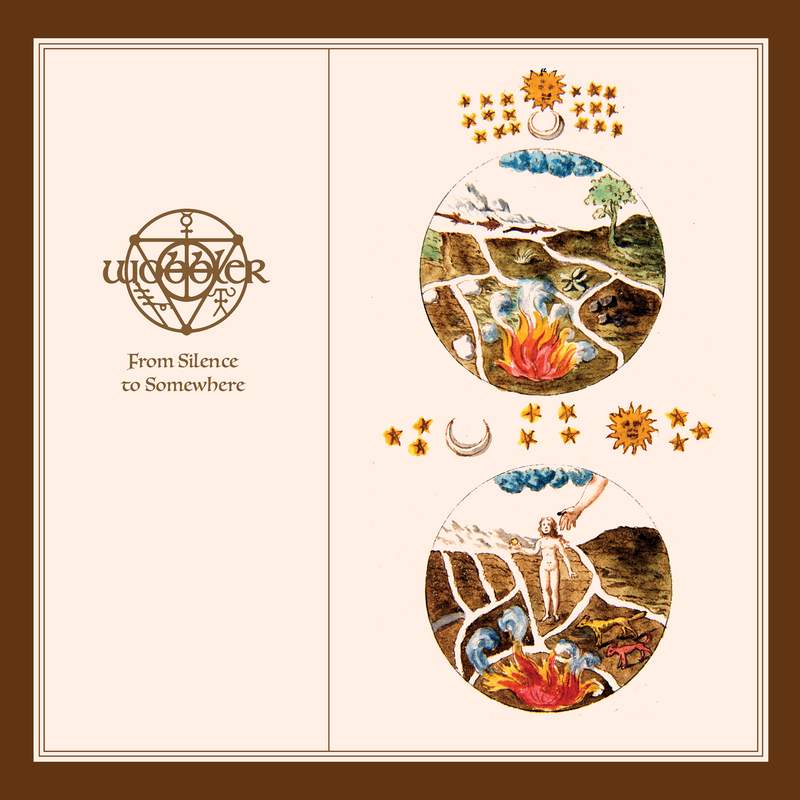 Opening with a haunting ambient intro, what sounds like an amalgamation of Yes (Jon Anderson era and peak codpiece era Jethro Tull) paint us a vivid picture of the eponymous heroes. We are pulled out on the rip tide of some lovely keyboard and flute, rolling with the waves as the coastal life takes center stage. The song changes tempo with the advent of the storm warning – we are off out into the choppy waves, out to assist a ship in distress. The evocation of the storm and waves crashing around the lifeboat is well constructed and the sea shanty style vocals paint a picture of the bravery of those volunteers as they go about their mission. If you enjoyed the tale of Winkie the super hero pigeon told by David Longdon and BBT, then this track will be just the thing for you. Swirling rhythms, tasty guitar and keys all combine to stunning effect, with the change in tempo adding emphasis to the amazing feat told in the song- 40 men and a dog saved off the coast of Cromar in 1941. 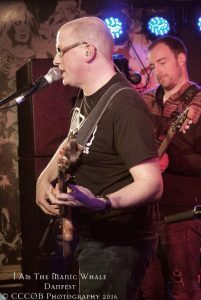 We then get a lovely closing guitar piece, the instrumentation and lyricism of which warms the cockles of many an old Camel fan. Flute and keyboards play us out, the coda serving to poignantly return the volunteers to their normal lives, superheroes in plain sight. Next up is a proper Prog epic – Strandbeest. A proper Prog track, it’s in 2 parts, an instrumental celebrating the strange beast illustrated on the cover and throughout the digipack. 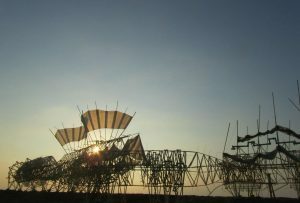 Created by a Dutch artist, Theo Jansen, the strandbeest is part sculpture, part animal, part robot. Desolate in their beauty, they roam the beach powered by the elements. 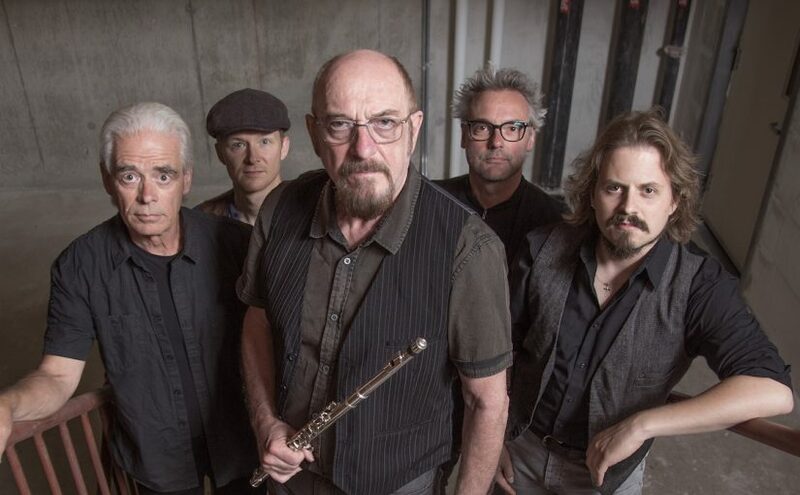 The track tells their story, it has Yes style multiple voices, creating a vivid mental image of the beast as it moves, the band stretch out and get almost funky in places. 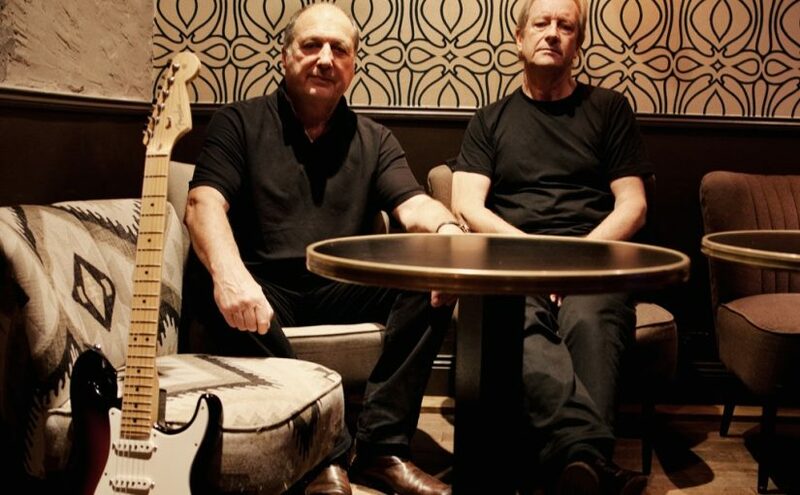 Yes playing alongside Frank Zappa was my original scribble – The climatic guitar solo takes a shine from Mr. Gilmour, cutting through the mix and driving on, building up to a grand finale. Live, I can imagine this is the guitarist’s big piece, head back, shapes thrown as he solos away, the drums and chorus joining for a fabulous ending that makes you want to go back and play it all again. Stand Up is a different beast, another epic multi part track, staring with a semi-acoustic, almost jazzy piece, it’s more “traditional “70’s style in structure, a bit Supertramp or Yes in places. Lyrically though, this is very contemporary. 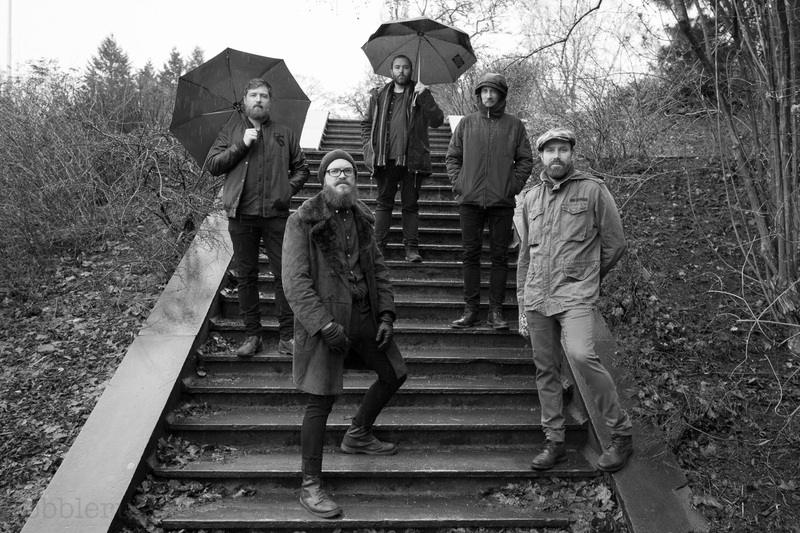 Under the layers of multi- tracked vocals and acoustic guitars lies much anger and resentment about the state of the world we find ourselves living in. It’s not about left or right, black or white, in or out as someone should say. 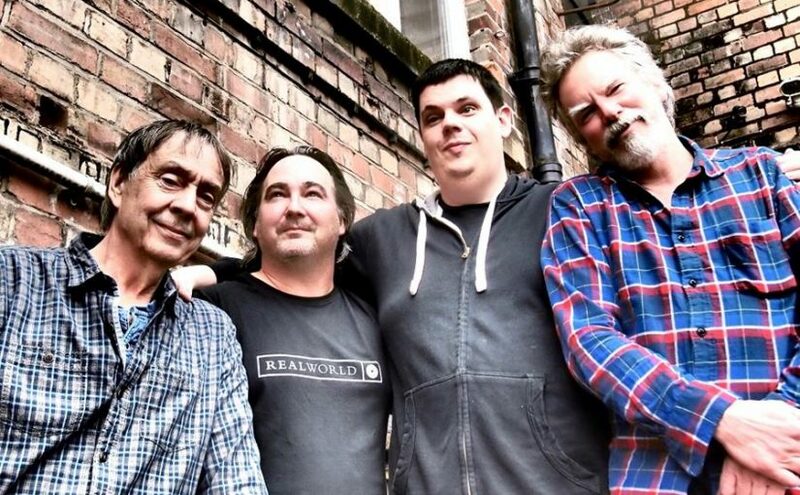 It’s about being involved.Written by John Murphy, these 4 acts are a modern protest song. The call to arms lyric is suggesting it’s time that we “Stand Up”, think for ourselves, not blindly swallow the agenda we are fed. “Rain”, act 2 questions the approach of the media, stirring up division and resentment for whatever reason. “Your Holy War”, act 3, is a stinging rebuke of fundamentalism, the fallacy of “ lives paid in service due to a god that we never knew” Act 4 offers a ray of hope, a coming together a rebranding of the hippy ideals so that If we do work at it, “We can build a world for everyone”. Naïve? Possibly, but it’s better to light one candle than to curse the darkness. The last track takes this theme and expands on it. One (Hopeful song) is a fitting album finale, the themes from the previous tracks are woven into a song of hope. This track shows just how much The Whale have assimilated the last 50 years of music, they’ve managed to take the glorious almost classical vocal layering that made Yes so ethereal, add in some fine instrumental techniques, some great guitar riffs and keyboard flourishes and write songs, proper songs that lift the spirit, make you think and tap your feet, all at the same time. If you liked It Bites, have explored the wonders of the Unitopia / United Progressive Fraternity collaborations and have a desire to listen with both ears, then you could do far worse than allow this whale to captivate you with its song. 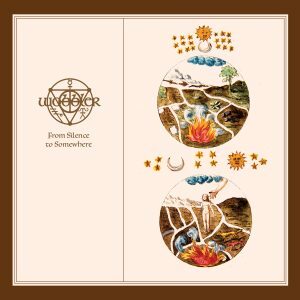 The musicianship, production and sheer breadth of subject matter make this a “proper” old school Progressive Rock album. We could discourse about the state of the music industry today, bemoan the fact that major labels are all run by Reality TV obsessed ‘Celebrity as product’, faceless corporate drones who care for nothing but the bottom line of a balance sheet, OR we could encourage those listeners to live a little, look beyond HMV and Amazon, persuade them that the choppy waters of the ocean of talent out there is worth dipping a toe or two in. Spread the word, Good music is out there, it’s just obstructed by that mountain of albums of bad karaoke put out by the cynical for the gullible. 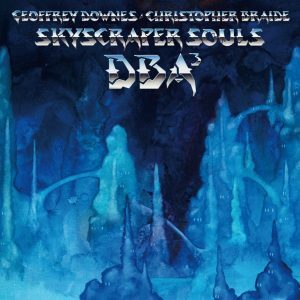 The new album by Super-duo Geoff Downes & Chris Braide, known as the Downes Braide Association (DBA), Skyscraper Souls is out now through their own label X2X Records via Cherry Red. 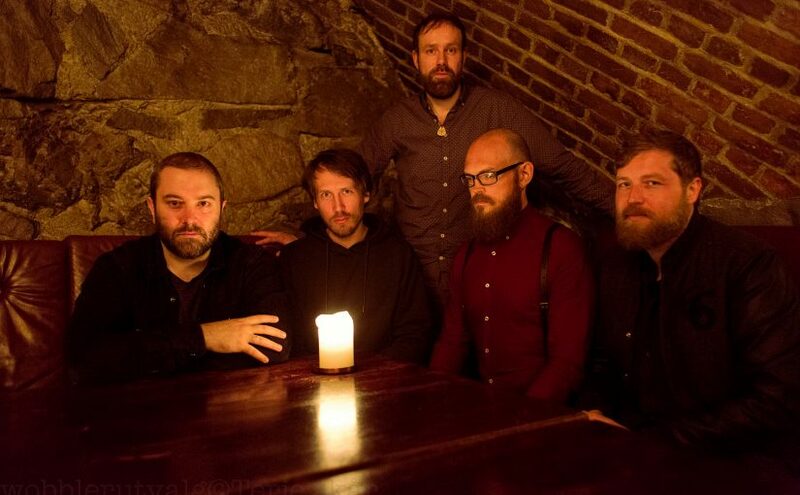 This is their 3rd collaboration and follows their two previous critically-acclaimed releases Pictures of You (2012) and Suburban Ghosts (2015). The year 2018 marks half a century since the formation of the legendary group YES, one of the biggest bands in prog-rock history and true pioneers of the genre. To celebrate this remarkable milestone YES will embark on a 10-date UK tour next March – #YES50. On this not-to-be-missed tour, YES [Steve Howe, Alan White, Geoff Downes, Jon Davison and Billy Sherwood] will feature not only many of the band’s classic hits but performances of sides 1 and 4 and an excerpt from Side 3 of their 1973 album Tales from Topographic Oceans, which was the first Yes album to top the UK album charts. 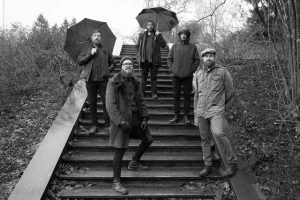 YES will also play some European shows. Watch this space for more dates. The final weekend of the UK tour at the London Palladium on 24th and 25th March will include a 50th Anniversary fan convention – more details of the anniversary celebrations will be announced soon. 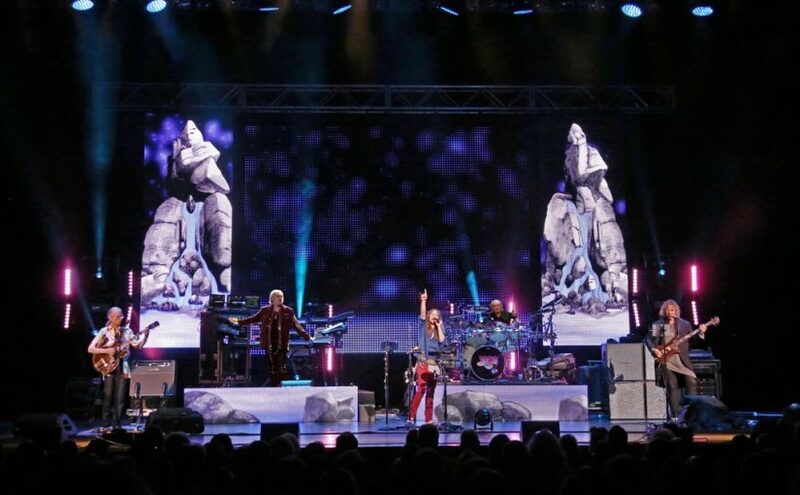 Roger Dean (whose fantastical landscapes have become synonymous with the band’s albums) will unveil new “Close To The Edge” paintings at the Palladium on March 25th. 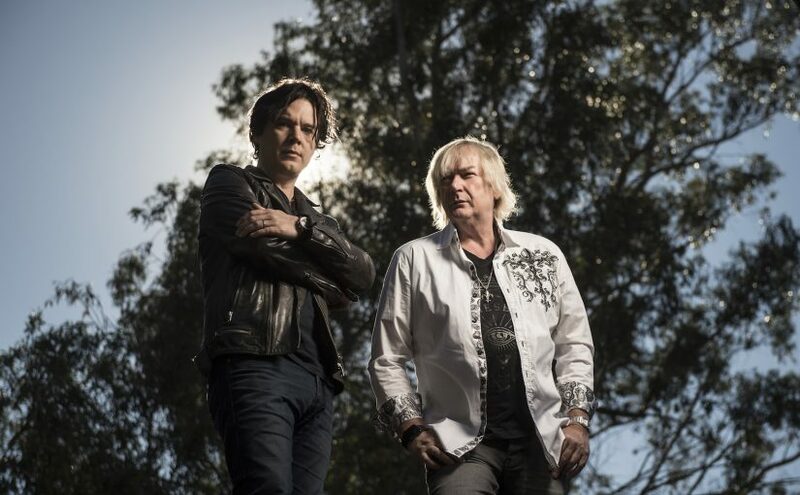 YES, deservedly inducted into the Rock’n’Roll Hall of Fame in April 2017, will release “Topographic Drama – Live Across America”, a new live album, planned for later in the year, recorded during their US 2016/17 tours. 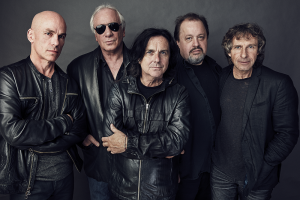 Rhino salutes the influential progressive rockers – who were inducted into the Rock and Roll Hall of Fame earlier this year – with the new live album, TOPOGRAPHIC DRAMA – LIVE ACROSS AMERICA. The music will be available on 24th November as a double-CD and a triple-LP. 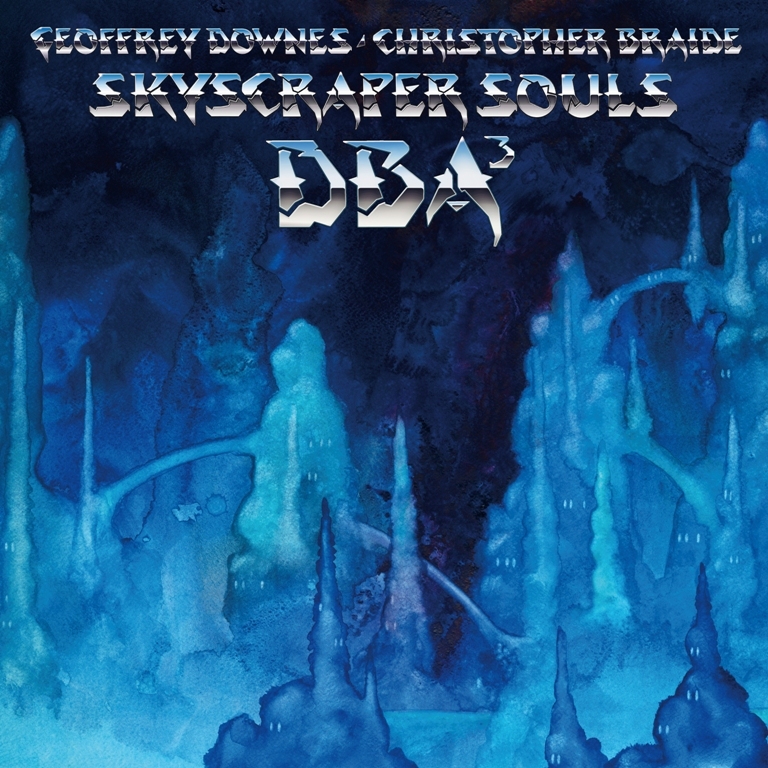 Both versions feature detailed cover art designed by the band’s longtime collaborator Roger Dean. 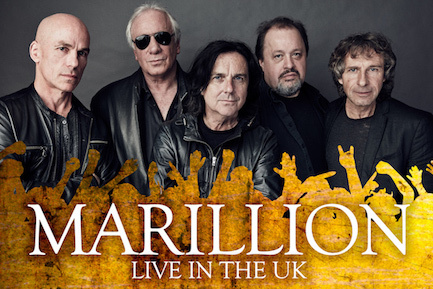 The new collection features live performances from 12 dates recorded on the same tour from February 2017, by the current Yes line-up: Steve Howe (guitars), Alan White (drums), Geoff Downes (keyboards), Billy Sherwood (bass), Jon Davison (vocals), and additional drummer for this tour Jay Schellen. After Drama, the band shifted gears for songs from two of its best-selling albums: “And You And I” from 1972’s Close To The Edge (UK platinum) and “Heart Of The Sunrise” from 1971’s Fragile (UK platinum). Next, the group played the opening and closing tracks of its concept album, Tales From Topographic Oceans (1973). Howe’s exceptional guitar work on “The Revealing Science Of God” and White’s propulsive drumming on “Ritual” have always been regarded as ground-breaking. 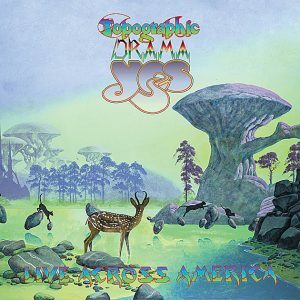 The album concludes with two live staples: “Roundabout” from Fragile (1971) and “Starship Trooper” from The Yes Album (1971). Among the world’s most influential, ground-breaking, and respected progressive rock bands, Yes was founded in 1968. The Grammy-Award® winning recording artists have sold more than 50 million records in a career that has so far spanned six decades.